If you are considering buying a Glendale, California home, you should first learn about some of our most popular historic neighborhoods. More than half of the city’s approximately 40,000 buildings are over 50 years old; many have historical and/or architectural significance. Glendale is divided into more than 30 neighborhoods, each with a unique history and character. Adams Hill is an eclectic hillside neighborhood in southeast Glendale. The homes, mostly constructed from 1915 to 1960, are an interesting mix of Spanish, Tudor, and Mid-Century Modern. The Adams Square Building is a stunning example of Art Deco design and the centerpiece of the commercial zone. The other prominent landmark is the mini park built around the historic 1936 Richfield Oil Company’s Streamline Moderne gas station structure. This neighborhood was named for John Brockman, who in 1915 built his home with a three-story clock tower. A decade later the area was subdivided and named Brockmont Park. Although it’s just minutes to the bustling city below, residents enjoy the seclusion of the hillside. Many of these 1920s homes have spectacular views of downtown Glendale. Once a private hunting preserve for the Doheney family, this area is prized for its serene canyon living. Tucked away in this windy canyon are a handful of homes built by Lloyd Wright, son of Frank Lloyd Wright. Perhaps the most notable is the Derby House, but don’t overlook the others. There is the E.R. Lewis House (Phyllis had the honor of representing the seller), the Calori House, and the Louise McDowall House. Located at the base of Adams Hill, the Cottage Grove Historic District is Glendale’s first housing tract. This development consists of just 14 homes on the one block of Cottage Grove Avenue. This unique neighborhood is comprised of mostly Tudor Revival homes and boasts the ambiance of a quaint English village. The Cumberland Heights neighborhood contains many fine examples of Spanish Colonial Revival homes built in the 1920s and 1930s with a mix of Ranch and Traditional styles constructed in the 1940s and 1950s. El Miradero, which translates to a vantage point designed to incorporate a view, is Leslie Brand’s residential subdivision. It sits just below his Brand Castle Estate and residents today enjoy the unique features of historic Brand Park Library with its art gallery, Doctor’s House, Whispering Pine Teahouse, and Friendship Garden. Behind Brand’s former residence are hiking trails, which access the Verdugo Mountains. The community has its own shopping district, Kenneth Village, which features a small market, restaurant, bakery, and shops. Emerald Isle is a secluded housing tract, in a woodsy environment, featuring beautiful mountain views. Due to its isolation from the rest of Glendale, Emerald Isle Park is mostly enjoyed by locals. The park offers a children’s playground, tennis courts, a basketball court, and picnic tables. Built primarily between the 1920s and 1950s, the homes in Glenoaks Canyon have varied architectural styles. There are two Richard Nuetra homes on Suncourt Terrace. The neighbors take pride in both their Glenoaks Elementary School and Scholl Canyon Park. Originally known as Dead Horse Canyon, Greenbriar was renamed in the 1950s. The neighborhood is comprised of mostly larger 1960s and 1970s tract homes. Most of the homes near the top of the ridge enjoy panoramic views. Like so many Glendale neighborhoods, Montecito Park was built home by home in the 1920s and 1930s. A variety of architectural styles are found in this neighborhood of predominantly single-family homes. Many of the Oakmont homes were built during the 1930s through the 1960s. In the 1980s, Glendale executives found a need for larger and newer homes and the most recent tract of homes was constructed. Many of these homes were built on smaller lots, but most offer an idyllic canyon setting while others feature city lights views. In 1950, H.R. Minkoff purchased the 138 acres that was later known as Oakmont Woods. The grand opening of the first phase of 35 homes was in 1951. The community was first advertised as having a “rural atmosphere, and conveniently distant from the downtown business district of Glendale.” Streets in the development were named after Minkoff’s four daughters: Eilinita Avenue for Eileen, Dolorita Avenue for Dolores, Camann Street for Camille, and Shirley Jean Street for Shirley Jean. Emanuel Drive was named after Minkoff’s business partner. The property developer gave each of his daughters a new home as a wedding present. 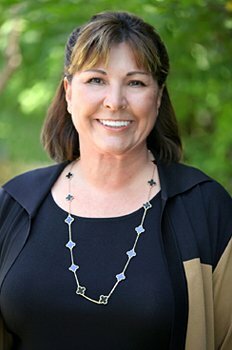 Phyllis Harb recently had the privilege of selling the developer’s personal residence located at 1127 Eilinita Avenue. Constructed in the 1990s, Rancho San Rafael is a Mediterranean-style master-planned community. Many of the homes and townhomes have amazing views. The Homeowners’ Association offers a community pool, spa, tennis courts, recreation center, and playground. Although not ideal for destination walking, the community is freeway close. Rossmoyne is one of Glendale’s most popular neighborhoods. 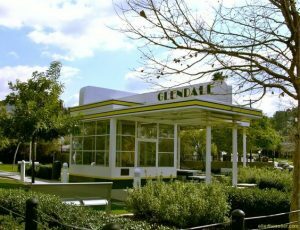 Admired for its charming period homes, this area also enjoys a convenient location to freeways, public transportation, and Downtown Glendale. Rossmoyne is home to Nibley Park, which is a lovely community park with tennis courts, playground, and picnic areas. While not all of the lots are large enough to accommodate horse facilities, this equestrian neighborhood still has many homes with stables, turn outs, and/or pipe corrals. This community boasts country living in the city. Horse trails and Griffith Park, with more than 50 miles of riding trails, are nearby. Just minutes away in Burbank is the Los Angeles Equestrian Center. Whether or not you love horses, this is a wonderful neighborhood to call home. Prized for its excellent examples of 1920s and 1930s Spanish and Mediterranean architecture, Royal Canyon also has a section of newer, hillside homes built in the 1950s through the 1980s. This community is set against the backdrop of the Verdugo Mountains. Adjacent is Nibley Park, a lovely community park with tennis courts, and play and picnic areas. Developed as a residential neighborhood in the 1920s through the 1930s, Sparr Heights has a variety of period architecture such as Tudor and Spanish. The neighborhood retains much of its original character. Montrose Community Park is one of the area highlights. Verdugo Woodlands is another extremely popular Glendale neighborhood. Architectural styles vary, as do home sizes, which range from tiny to grand. Schindler’s Rodriguez House is located here. Drive carefully through the Woodlands neighborhood of graciously maintained vintage homes as you will often encounter deer. A seasonal stream is one of the features of this secluded neighborhood with less than 200 homes. In the late 1970s, Jamco Corp. announced plans for a subdivision above Whiting Woods with 345 single-family homes. In 1979, Whiting Woods homeowners joined forces with Small Wilderness Area Preservation to fight the subdivision. The serenity of the Whiting Woods community was assured when the city of Glendale agreed to purchase the northern slope of the mountain. Today, Whiting Woods residents enjoy the wilderness preserve right above them. Dreaming of making Glendale your home? Contact us for a 15-minute buyer consultation. It’s simple, free, and there is no commitment.